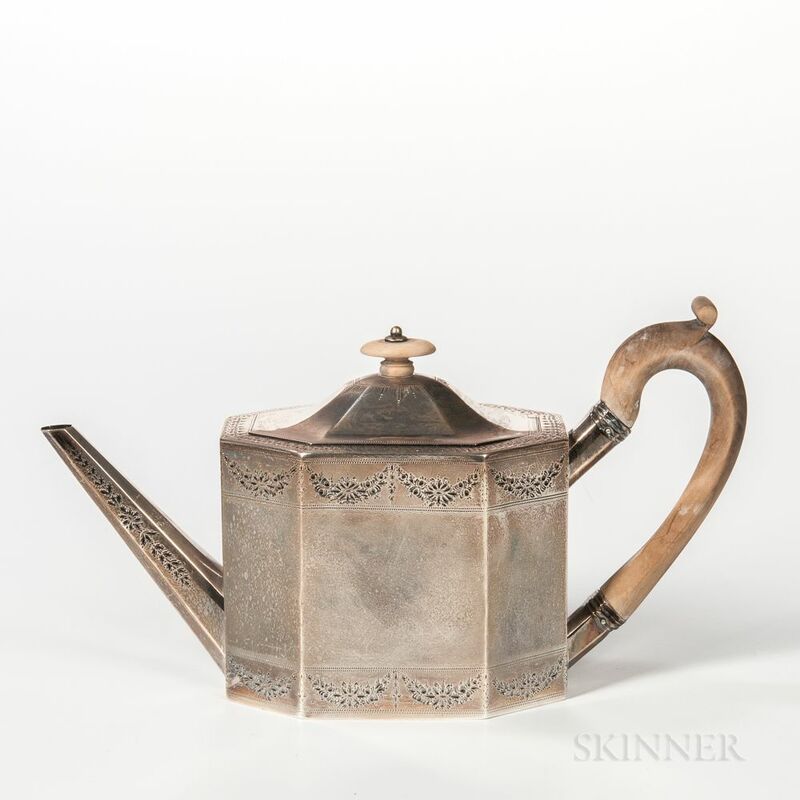 George III Sterling Silver Teapot, London, 1809-10, Robert Hennell I, maker, paneled body with engraved decoration, ht. 6 in., approx. 13.7 troy oz. Finial cracked to base, lid does not sit completely flush. No evidence of engraving removal.